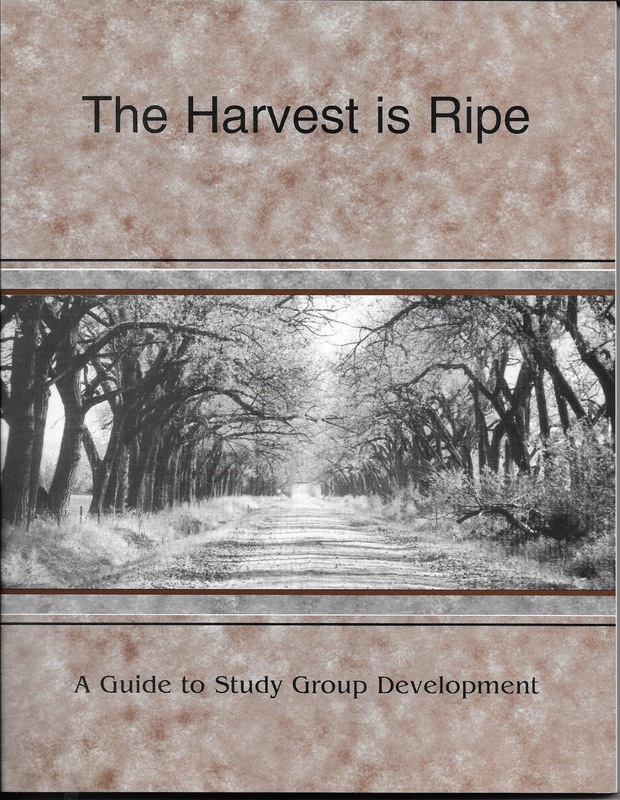 The article below is taken from page 103 of the book: “The Harvest is Ripe: A Guide to Study Group development," by William P. Muhammad, first published in 1999. Orders may be acquired by contacting the author via e-mail. The 66th Sura of the Holy Qur’an, Al-Tahrim (The Prohibition), unfolds on two levels (in two sections), as most Islamic scholars will agree. 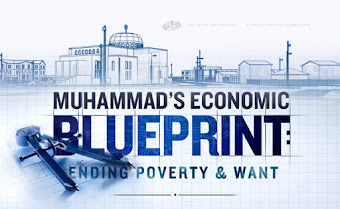 While it initially addresses the domestic life of the Holy Prophet Muhammad ibn Abdullah (PBUH) and a temporary breech of confidence between himself and two of his wives, it also sheds light upon the definition of “duty” between leaders and followers. For example, the dynamics of a Muslim’s marriage and his married life is not unlike the dynamics between responsible leaders and followers. 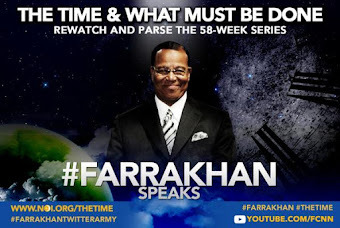 It is through the Teachings of the Honorable Elijah Muhammad that we can address the “science” of Sura 66, while at the same time observing its relevance in the world, as the Judeo-Christian West antagonizes the world of Islam from behind the façade of peace. No one is satisfied though they may be righteous. They are not satisfied because they are living among unrighteousness. So the whole entire world of the wicked and the righteous is upset due to dissatisfaction. The dissatisfied are gaining everyday more and more among the people whom they hope to bring into the same condition that they are in. And today nothing is made more clear to the chief maker of dissatisfaction, (The Fall of America, page 101). This means the disbelievers suffer from the presence of the righteous and the righteous suffer from the presence of the unrighteous, whether it is in our homes, our communities or on our planet in general. Through a war of attrition, the enemies of Islam (disbelievers and hypocrites) expend their energy to exploit weaknesses among the believers in order to foment division (to undermine a united front), to create negative connotations in controversy (to cloud true issues and actual facts), to promote envy and jealousy (which destroys from within) and ultimately, to kill the messengers of truth in the hour of confusion (although Allah promises us they will not be successful). 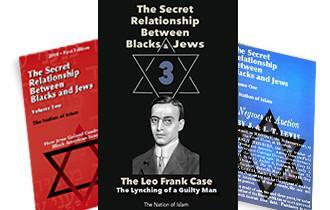 Also, this is why the Honorable Elijah Muhammad said: “The devil never sleeps. Daily, we are bombarded with the filth of Satan’s world (scantily clad men and women parading themselves in public, drunkenness, lewd dancing, gambling, the consumption of swine flesh, filthy jokes, homosexuality, fornication and adultery – there is hardly any end to it) as we are instructed through universities, weak religious leaders and the American popular culture that to obey Allah (God) makes you less acceptable in society, but to submit to the ways of the unbelievers makes you more acceptable. It is through a thorough comprehension of these opposing forces that an examination of Sura 66 will make sense. Dissatisfaction, so teaches the Honorable Elijah Muhammad, is the agent of change – either a change for the better or a change for the worse. If you are attempting to be “right” (on the salat-ul-mustakeem) in a world that is against righteousness and the doing of righteousness (through shariat), then the full force of the enemy and his system will be brought to bear against you (which is why the servants, prophets, and messengers of Allah have been beaten, killed, slandered and imprisoned all throughout history). Furthermore, those who are weak in faith (in both their Iman and their Deen), those who are “faking and fronting” Islam (for ulterior motives) and those who lack knowledge (because of ignorance) will not be able to withstand the audacious, deliberate and scientific opposition that is crafted, formulated and wielded by the enemies of Allah (God). 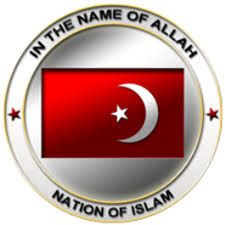 It is through this reality that “dissatisfaction” in a weak believer causes a shift toward disobedience to the Will of Allah (God) and His apostle; therefore, it allows chaos, confusion and hell into the Ummah (or Nation of Islam – which is a world-wide reality). Although we will not delve into the details behind the temporary separation between the Prophet (PBUH) and two of his wives, A’isha and Hafsah, the greater principle that we must examine is how the connect (bond) between leaders and followers is interrupted by their individual or collective states of satisfaction and dissatisfaction (which leads either to obedience and submission to Allah or to mischief-making and hypocrisy) and perhaps, ultimately, the possibility of estrangement from the Mercy of Allah, (see Sura 66:3-7). 1) Why did Noah’s wife rebel against her husband when he was instructed by Allah to build the Ark? 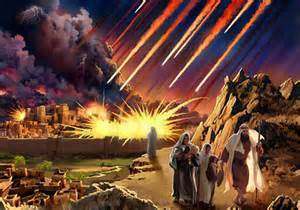 2) Why did Lot’s wife look back on Sodom and Gomorrah? 3) Why did the wife of Pharaoh reject the ways of her husband when he saw himself as a God besides Allah? 4) What made Mary’s womb worthy of Allah’s Blessing? The behaviors of disbelievers and hypocrites are rooted in either their satisfaction in the temporary rewards of this life (dunya) or through the temporary rewards of turning against the truth and turning against those who reject “this world” (see James 4:4) for the promise of the “Hereafter” (here on this earth after the reign of Satan has been destroyed – see Sura 18:31). The above statement will perplex the disbelievers and the hypocrites because their hearts have been sealed – through the seeking of rewards, validations and honors from Satan’s system (instead of seeking the path of Allah). According to the Christians’ Bible, Lot was warned by the angels (people of high intellect and wisdom) that Allah was displeased with the abominable behavior of the people of Sodom and Gomorrah (men going to men with lust in their hearts as they should for women) and that they were commissioned by God to destroy these cities. As the story continues, Lot flees the city with his family under the instructions “don’t look back,” and none looked back at its destruction except for Lot’s wife – and according to the Bible, she turned into a pillar of salt. What does this mean? 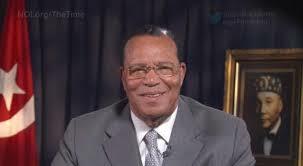 The Most Honorable Elijah Muhammad instructs us through the Honorable Minister Louis Farrakhan “not to get spooky” when we read the scriptures and worship Allah (God). Doing so only mystifies the truth, which reduces your ability to reason and it hinders your ability to understand the true nature of God, which is the true nature of yourself. For instance, if we examine the purpose of salt, as a preservative (there were no refrigerators 4,000 years ago), this is how “animal flesh” was kept in its desired state for eventual consumption. A pillar of salt, therefore, could signify the preserving of a hidden lifestyle or mindset (that is opposed to Allah’s Will) and as such, it allowed mischief and deviant behavior to creep into the new society built by those who rejected the ways of the Sodomites. The wife (meaning the followers) of Lot allowed dissatisfaction (with Allah’s way) to wear down, redefine and ultimately change the system of Prophet Lot (PBUH) and his people over time. While the Holy Qur’an’s version of Noah and his wife differs somewhat from the Biblical account, the fact remains that the people of Noah were mockers of his “God given mission” (which was ironically for their own benefit). 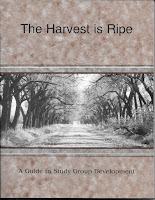 Also, the Holy Qur’an tells us how the ark was made of only crude planks and nails, but it nevertheless saved the lives of those who saw its value and heeded Noah’s “final call.” Again, in these stories, we are looking at the relationship between satisfaction with “this world” and dissatisfaction with Allah’s promise of “the world” of the hereafter. Now, what about satisfaction with the way of Allah (God) and His straight path? This is where we must now examine the wife of Pharaoh and the mother of Jesus (Isa). Imagine being the citizen of a nation that has no equal or rival on the earth – and all must bow at its feet. Pharaoh’s wife, from her privileged position, as an Egyptian, really had no incentive for rejecting the ways of Egypt, as the privileged wife (follower/subject) of a leader who saw himself as a God beside God (think on that). Why would she reject a life of ease and comfort? Would it be easy to agree that she was (they were) satisfied with the material wealth and riches of the most powerful nation on earth? 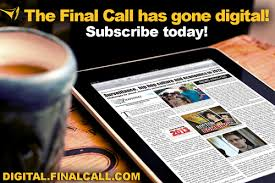 Does inordinate materialism and relative ease not distract the people of the Western world today? In this case, “dissatisfaction” was positive on her part, and this led her to reject the ways of the arrogant, haughty, proud and boastful Pharaoh (who Allah drowned in the Red Sea) according to both Bible and Qur’an – as he chased down the Nation Of Israel (NOI) for the purpose of preventing it from inheriting the “Promised Land”). According to the Qur’an, Pharaoh became a believer as he was drowning and that was enough for Allah to spare his body (but not his life) and for it to serve as a sign and as an example for the generations, leaders and nations that would follow. How many civilizations, peoples and powers followed in Pharaoh’s footsteps? How many follow “the modern Pharaoh” in today’s most powerful nation? How many will fail to learn this valuable lesson and subsequently subject themselves to the hellfire of bloodshed, war, death and destruction, if not the chastisement of Allah? Finally, Sura 66:12 tells us how Mary guarded her chastity, which is the primary duty of a believer. 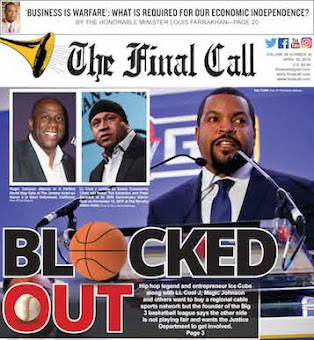 The Honorable Elijah Muhammad teaches us through the Honorable Minister Louis Farrakhan that the female has two wombs and that the male has only one. The mind is the womb from which new possibilities come forth, and the state of a woman’s mental a spiritual womb determines the state and product of her physical womb. If we are quick to criticize the behavior of promiscuous women, because of the social and spiritual ramifications of fornication and adultery, then what does this say of men who offer their minds and attention to impure thoughts, ideas and activities? What unbalanced and confused offspring will his MIND create? When he lies down (mentally) and offers his mind to that which Allah (God) is displeased with, then what is the difference between these women and men? What type of world will such men produce? Will they establish heaven on earth (as the Khalifa) or will they establish more hell on the earth (as rebellious devils)? 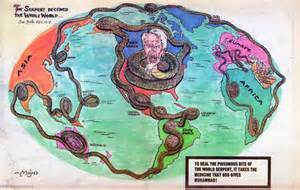 Will they make straight in the desert a highway for their Lord, or will they continue the crooked and serpent-like path of the mischief-makers and deceivers? 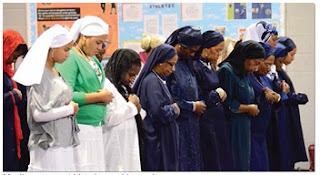 Islam cannot progress among the believers until and unless we guard our prayers and become the quintessential example of civilized men and women: “enjoining that which is good and forbidding that which is evil.” It is only then that Allah (the Most High) will reward us with success and grant us the final victory that he promises to the faithful. Surely We have revealed the Book to thee with truth that thou mayest judge between people by means of what Allah has taught thee. And be not one pleading the cause of the dishonest, and ask the forgiveness of Allah. Surely Allah is ever Forgiving, Merciful. And contend not on behalf of those who act unfaithfully to their souls. Surely Allah loves not him who is treacherous, sinful. They seek to hide from men and they cannot hide from Allah, and He is with them when they counsel by night on matters which please him not. And Allah ever encompasses what they do. Behold! You are they who may contend on their behalf in this world’s life, but who will contend with Allah on their behalf on the Resurrection day, or who will have charge over their affairs? And whoever does evil or wrongs his soul, then asks forgiveness of Allah, will find Allah forgiving, Merciful. And whoever commits a sin, commits it only against himself. And Allah is ever Knowing, Wise. And whoever commits a fault or a sin, then accuses of it one of the innocent, he indeed takes upon himself the burden of a great calumny and a manifest sin.